Vitamin A is a group of similar molecules that includes retinol, retinal, and retinoic acid. Beta-carotene is a precursor to vitamin A that first needs to be converted to retinal by the enzyme BCMO1. If your copies of BCMO1 have non-functional polymorphisms, then beta-carotene will not be used to make Vitamin A and you must get it in your diet through animal sources or supplementation. 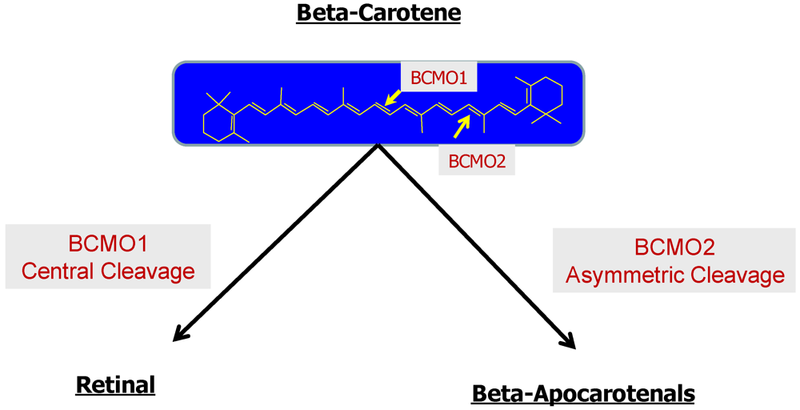 Vitamin A metabolism is a complex topic with many genes involved, however BCMO1 is critical for us to form useable vitamin A from beta-carotene. If your versions of the gene have risk alleles present, then your requirement for Vitamin A may be increased and supplementation may be wise.